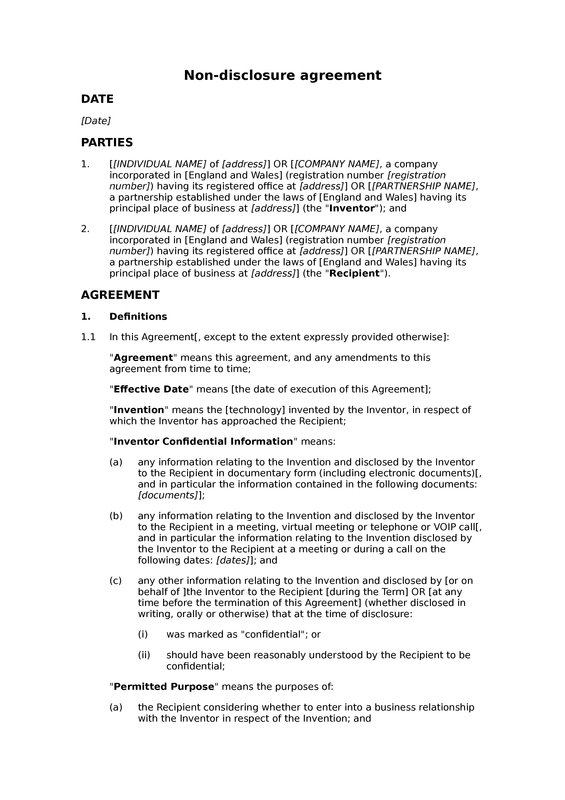 This non-disclosure agreement (NDA) is a lightly modified version of our "unilateral" NDA document, designed for use in relation to the disclosure of an invention and related information by an inventor to a potential industrial or commercial partner. 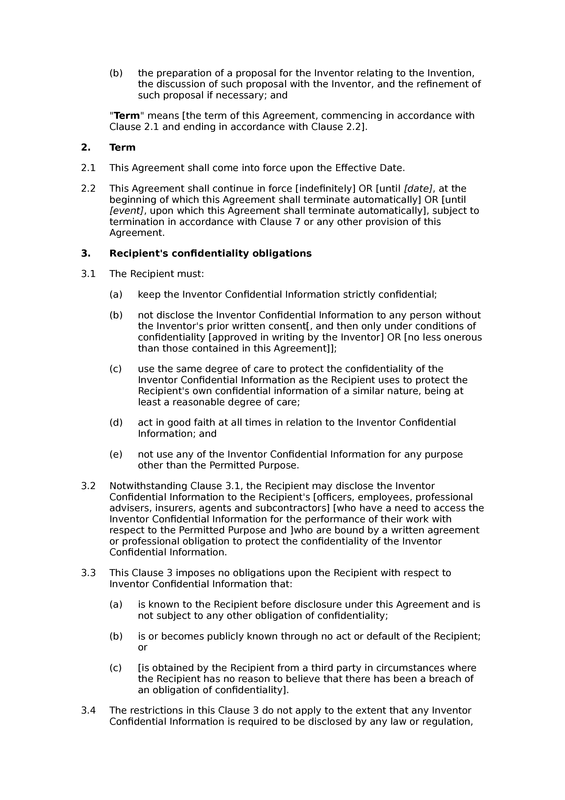 Note that potentially patentable inventions should be kept confidential. A failure to do so may prevent the grant of a patent, or render a granted patent invalid. Term: commencement of term; end of term. 's confidentiality obligations: second party confidentiality undertaking (permitted purpose mandatory); disclosure of confidential information by second party to certain persons for permitted purpose; exceptions to second party's confidentiality obligations; disclosures of first party confidential information mandated by law etc; second party to stop using confidential information upon termination; second party to return or destroy confidential information following termination; second party confidentiality obligations after termination. 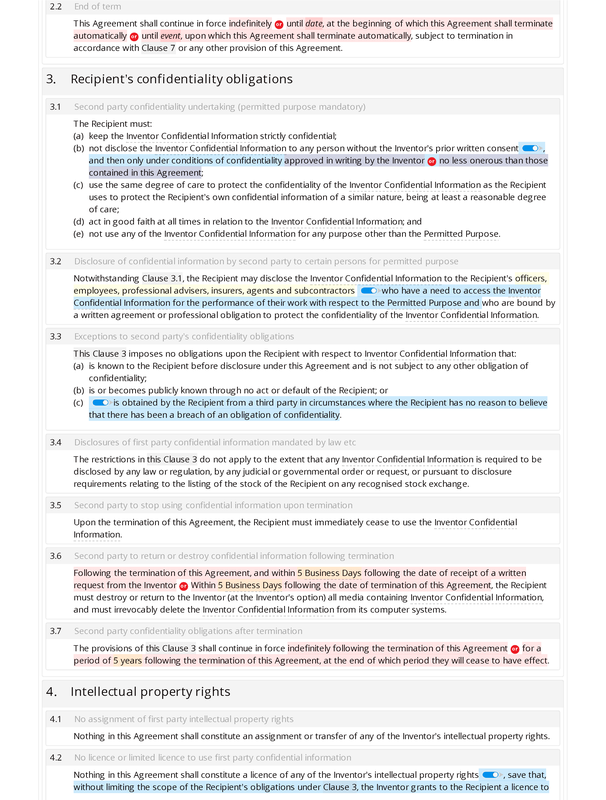 Intellectual property rights: no assignment of first party intellectual property rights; no licence or limited licence to use first party confidential information. Warranties: first party warranty of authority; second party warranty of authority; exclusion of implied warranties and representations. indemnity: second party indemnifies first party upon breach. Termination: termination by either party at will. 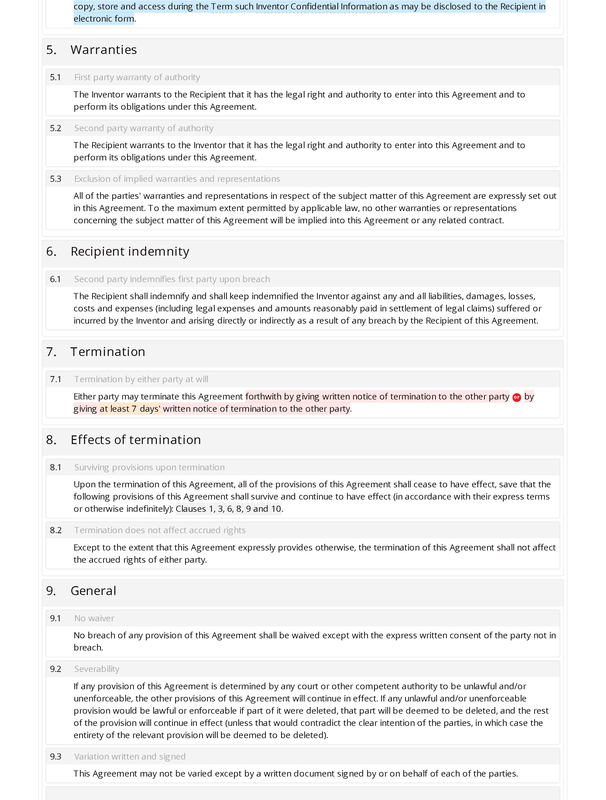 Effects of termination: surviving provisions upon termination; termination does not affect accrued rights. 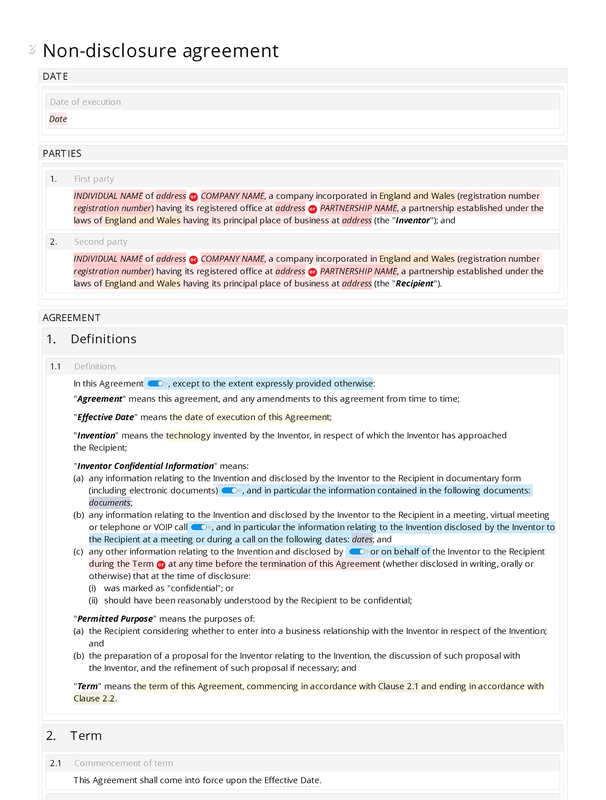 General: no waiver; severability; variation written and signed; no assignment without written consent; no third party rights; caveats to limits of liability; entire agreement; governing law; exclusive jurisdiction.